MOTIVATED SELLER!! 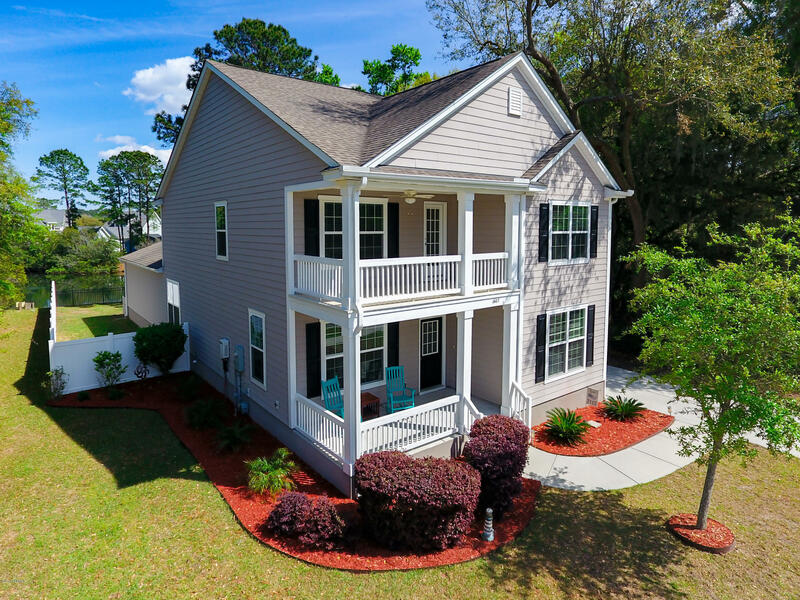 This charming 4 Bedroom 2.5 Bath, located in Live Oaks waterfront community features a contemporary kitchen with shaker cabinetry, all black appliances and granite counters. The Kitchen opens wide to the family room and an eat in, as well as formal dining room option. The master retreat offers a luxurious soaking tub and separate shower. Entertaining is easy in the huge bonus room, formerly used for home theater, or relax in the fenced yard and enjoy a very private view of the pond, great for a summer barbecue. All new luxury vinyl and carpet flooring, crown molding and fresh paint throughout. Extremely well maintained, a great opportunity and great location! The homes exterior is accentuated by upper and lower front porches, hardie plank siding, and mature landscaping. © 2019 Beaufort County Association of Realtors. All rights reserved. Information deemed to be reliable but not guaranteed. The data relating to real estate for sale on this website comes from Beaufort County Association of Realtors and the Broker Reciprocity Program.sm. Real estate listings held by brokerage firms other than Beaufort Realty Consultants are marked with the BR logo and detailed information about them includes the name of the listing brokers. All measurements and all calculations of area (i.e., Sq Ft and Acreage) are approximate. Listing broker has attempted to offer accurate data, but buyers are advised to confirm all items. Information last updated on 2019-04-18.